This group of 74 stereographs contains images of the damage to Charleston during the Civil War, along with images of Folly and Port Royal Islands. Forts, churches, hospitals and headquarters come to life in these photographs taken by war photographers such as Samuel A. Cooley and John P. Soule. 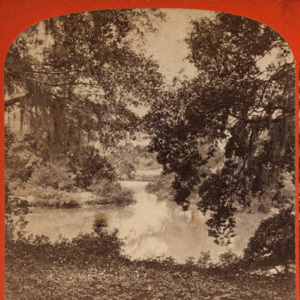 Spanning both the period of the Civil War and Reconstruction, the stereographs include locations significant to the war and the times. Each item features two albumen prints on one side, and some contain information about the photographs or photographers on the reverse. The collection also features anaglyphs (a composite image that provides a stereoscopic 3D view when viewed with 3D glasses) for each stereograph.